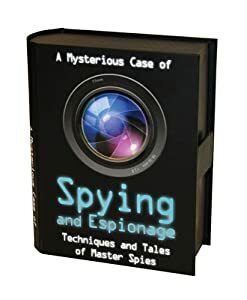 Kids will enjoy discovering the long-held secrets of espionage and putting those skills to use to become master spies themselves! What I loved about this book/kit was that it has a bit of everything to help the spy wanna-be to be the best that they can and learn so much along the way. Not only is the small book full of great information, on top of this you get supplies that you can try out for yourself. The shades (with mirrors so you can see behind you) are awesome and there is so much more within this too! This is more than just a book, but it is also a great kit that will keep you and your child on their toes while they learn some great spying skills.